Glazing Innovations are Toughened safety Glass Suppliers throughout Manchester and the UK – we offer a wide range of Toughened safety Glass that conform with current regulations. 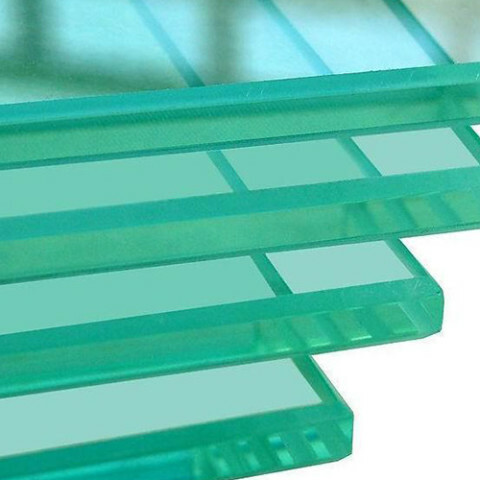 Toughened safety Glass Suppliers Manchester – Toughened Glass is glass that has been processed by controlled thermal or chemical treatments to increase its strength compared with normal glass. Toughened glass is made by processes which create balanced internal stresses which give the glass strength It will usually shatter into small fragments instead of sharp shards when broken, making it less likely to cause severe injury in a variety of demanding applications, including windows, vehicle windows glass doors and tables. Toughened glass is physically and thermally stronger than regular glass. The greater contraction of the inner layer during manufacturing induces compressive stresses in the surface of the glass balanced by tensile stresses in the body of the glass. For glass to be considered toughened, this compressive stress on the surface of the glass should be a minimum of 69 megapascals (10,000 psi). For it to be considered safety glass, the surface compressive stress should exceed 100 megapascals (15,000 psi). The greater the surface stress, the smaller the glass particles will be when broken. Any cutting or grinding must be done prior to tempering. Cutting, grinding,and sharp impacts after tempering will cause the glass to fracture. Quality is second to none and we are well recognized throughout the Glazing Industry. We offer a wide range of Glass related services including our 24 hour Glazing Service,Shopfront Installation and Replacement Glazing. No job is too large or small for us at Glazing Innovations.